Earlier when I wrote about Toronto's low residential vacancy rate I stated that just because the rental market is tight doesn't mean there won't be a condo crash. Today I have even more proof to support my statement. 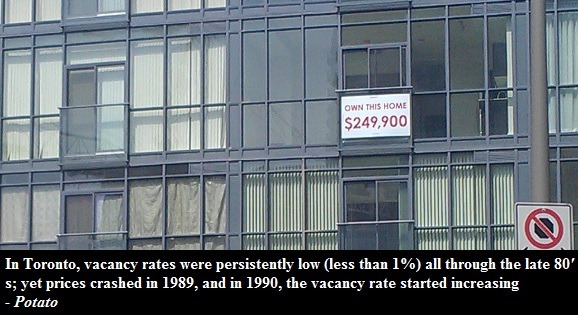 From previous research I found that the vacancy rate was ultra low during the first housing bubble in Toronto, but I didn't know the exact numbers as I had no data. However, recently I found a new data set which goes all the way back to 1971 so I am revisiting this topic. 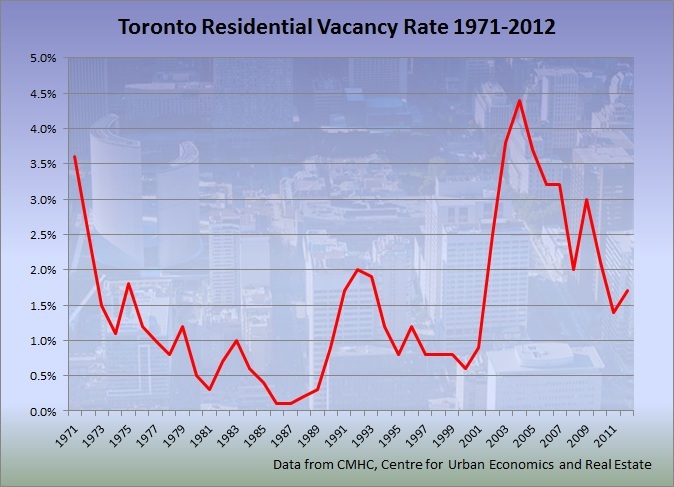 Below is a graph that shows the vacancy rate in Toronto between 1971-2012. There is no data available for 2013 yet. 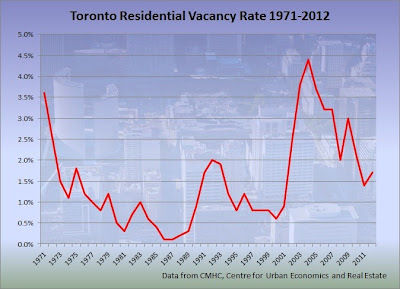 As you can see from the graph, the vacancy rate was close to "zero" between 1985 and 1989. 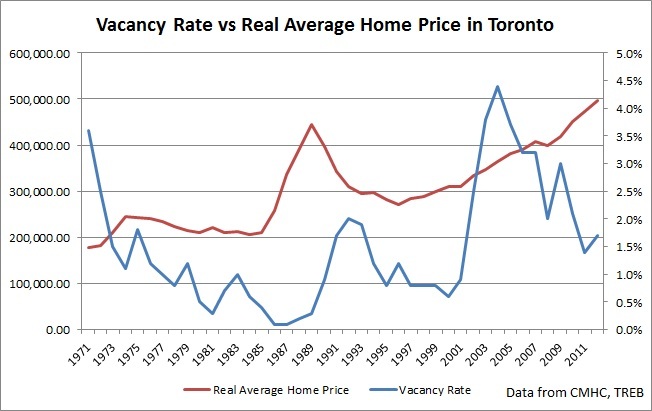 The next graph illustrates how the vacancy rate in Toronto started rising significantly only after the bubble had popped. For those of you who are wondering why the vacancy rate suddenly went up in 2001, the answer lies in the shift from building low rise dwellings to building high rise towers. You can read more on this in my previous post.